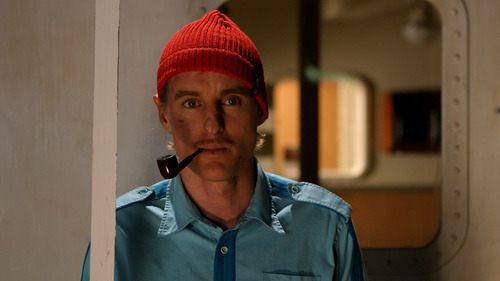 Sometimes I tell people The Life Aquatic with Steve Zissou is one of my favorite movies, but that’s not really true. I like it a lot, but I didn’t even remember that Owen Wilson had a gentleman’s mustache until I saw part of it again this weekend. In 2007 it was reported that Owen Wilson attempted suicide due to depression. I’m glad he was unsuccessful because he seems like a nice guy and I really liked Midnight in Paris. Suicide is for the birds. If you or someone you know is suffering from depression, send them a link to this website and that should cheer them up. If that doesn’t work, I’m sure you can Bing “depression” to get some helpful resources. This entry was posted in Celebrity Steesh, Movie Steesh and tagged Actor, bing, celebrities, Celebrity, depression, entertainment, life aquatic, life aquatic with steve zissou, Midnight in Paris, Moustache, Movie, Movies, mustache, Owen Wilson, Steesh, suicide, Wes Anderson on November 13, 2012 by Los Bulls.